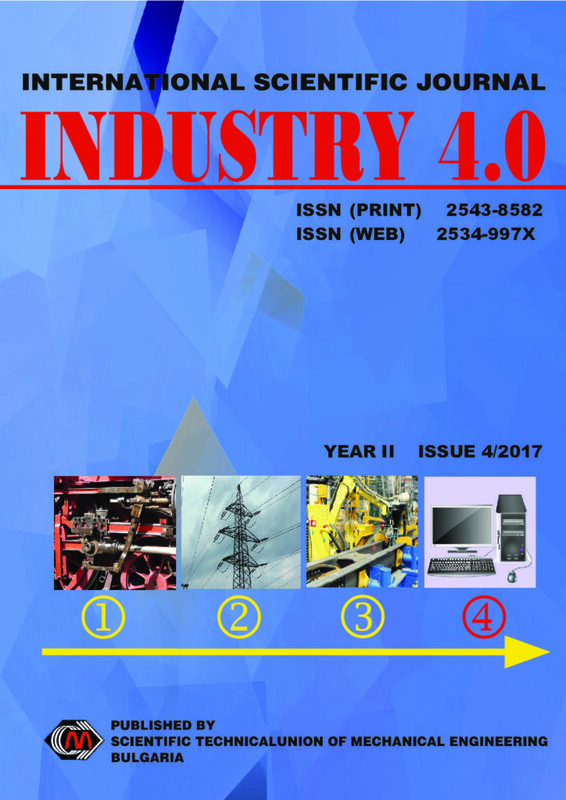 The development in the information and communication technologies conditions the beginning of the fourth industrial revolution(FIR) The current report considers the peculiarities of the cyberphisical systems, as the basis of the fourth industrial revolution (Industry 4.0) and the need of their inner horizontal and vertical integration. Nowadays, one of the most common problems in control system theory that should be tackled is how to improve the precision of a plant in steady state, under a change in the target value of the plant. Well known fact is that the models we use for designing controllers are not ideal. Thus, when the controller is applied to the real plant there is difference in between the expected and obtained results. Likewise, the controllers should be designed to be at the same time robust to uncertainties and also fast enough to drive the system to the desired value. The purpose of this paper is to describe and finally implement the approach in which the idea is to improve the precision of the system in steady state by adding an additive term to the control value calculated by the predesigned PID controller. The PID controller is designed in advance, and has poorly tuned integral term. Afterwards, when the desired target value is changed the PID controller is not aware of that change, so its performance starts to drop and as a result the steady state error starts to increase. Therefore, to preserve the exactness of the plant’s output an additive term to the control signal is calculated out of a polynomial second order model derived from the error values obtained in the previous measurements of the plant. The results from MATLAB simulations have shown that the PID controller could not keep up good performance when the target value of the system is changed. Hence, by adding an additive term to the control signal we gave to PID the needed ‘awareness’ and as a result of that we could improve the steady state error by small margin. One of the factors that influence the production and assembly systems based on robotic cooperation is the reachability of the required locations as well as the design of the robotic arm paths without the need for initial testing at a real workplace, which could lead to damage of some parts in the workplace. The resulting robot paths must be collision-free, they cannot correlate with other elements of the automated workplace, they should also follow the set production cycle. The trajectory time described by the industrial robot end effector influences the overall production cycle time. For this reason, it is necessary to create a trajectory which represents the shortest path described by the industrial robot. The design of the end effector path of an industrial robot must in general meet many criteria, either in terms of tact or safety. By simulating multiple path trajectory variants in the digital environment, it is possible to select the ideal trajectory of motion of the industrial robot depending on the layout of individual elements of the production or assembly system and the elimination of collisions. When designing a robotic workstation, the main parameters of the industrial robot are range and load capacity. By implementing CAD data and customer requirements into the digital environment of the selected software, we can verify the data and choose the most appropriate solution. The main benefits of industrial robot application and the use of available software to efficiently design a robotic system include benefits such as shorter production times and associated higher productivity, labor cost savings and wage costs reduction, robots are used in other applications after the end of the production cycle of the original product, thereby achieving savings in investment costs. This research proposes a simulation of a Stäubli TX90 robot based on Simulink Toolbox of Matlab. The goal is to predict the position and trajectory of its end-effector, with high reliability. The simulator takes into consideration loading, deformations, calibrated kinematic parameters, and all eventual sources of disturbance. A comparison between real and simulated data reveals the reliability and the accuracy of the simulator. Food Research and Development Institute, Plovdiv, Plovdiv, Bulgaria.The paper considers a model and an algorithm for predicting the thermal regime in work (home) accommodation with radiant heating. The algorithm allows the analysis and design of cost-efficient option for realization of this type of heating. The upcoming three-year period is marked for Russian tax system as a period of crucial reforms and restructuring. Computational-analytical method was used as the main one. Possible fiscal consequences for the country economy were calculated on the basis of three options of the proposed changes in tax rates. The study was conducted on the example of four taxes: value added tax, corporate income tax, personal income tax and insurance premiums. Based on the calculations the possible consequences of changes in tax rates are determined taking into account possible changes in consumer behavior, systems approach to the investigation of the tax system, and the appearance of the feedback loop effect. Keywords: tax reform, tax, system approach, consumer behavior, feedback loop effect. This study discusses the structure of Turkish National Innovation System (NIS) and challenges faced in the last decade in the context of the digital transformation. As a developing country and a member of G-20, how these challenges of Turkish NIS are mitigated and further be dealt with. It comprises lessons and provides cases for various similar NISs. In order to evaluate and provide policy recommendations for accelerating the transformation of Turkish economy, it benefits from systems approach as a basic academic framework. It is found that Turkey faces four key structural challenges calling for urgent response for their targets of 2023 (hundredth year of the Republic), namely productivity, growth, employment and investment. Implementing a relatively simple rule compatible with the peculiarities of the system and focusing on the diversity of policy mix, the study proposes ways to mitigate these structural challenges towards digital transformation.